Citing support for recent enforcement actions against rogue Internet pharmacy websites, the National Association of Chain Drug Stores (NACDS) submitted a letter to the Food and Drug Administration (FDA). The letter expresses the Association’s concern about these Internet sites, both domestic and foreign, that are engaged in a pattern of illegal activity regarding the prescribing and dispensing of prescription medications. These illegal, rogue Internet sites take advantage of consumers by luring them into illegal schemes to obtain prescription drugs, often controlled substances, without a prescription or valid patient-prescriber relationship. These Internet sites are not pharmacies. Alexandria, Va. (Vocus/PRWEB ) November 25, 2009 -- Citing support for recent enforcement actions against rogue Internet pharmacy websites, the National Association of Chain Drug Stores (NACDS) submitted a letter to the Food and Drug Administration (FDA). The letter expresses the Association’s concern about these Internet sites, both domestic and foreign, that are engaged in a pattern of illegal activity regarding the prescribing and dispensing of prescription medications. To view the full text of the letter, please click here. 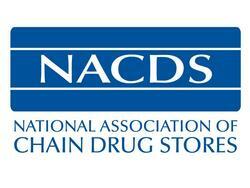 The National Association of Chain Drug Stores (NACDS) represents 154 traditional drug stores, supermarkets, and mass merchants with pharmacies – from regional chains with four stores to national companies. NACDS members also include more than 900 pharmacy and front-end suppliers, and over 70 international members from 24 countries. Chains operate 37,000 pharmacies, and employ more than 2.5 million employees, including 118,000 full-time pharmacists. They fill more than 2.5 billion prescriptions annually, which is more than 72 percent of annual prescriptions in the United States. The total economic impact of all retail stores with pharmacies transcends their $815 billion in annual sales. Every $1 spent in these stores creates a ripple effect of $3.82 in other industries, for a total economic impact of $3.11 trillion, equal to 26 percent of GDP. For more information about NACDS, visit www.NACDS.org.